Eshu is Elleggua is Elegba the divine trickster-linguist, the chief engineer of the Da force and master of the nommo. That which is chaotic, absurd, unpredictable, and impossible is attributed to Elleggua. He is the personal messenger of destiny. All ceremonies begin and end with Him. Elleggua lives at the center of the crossroads. 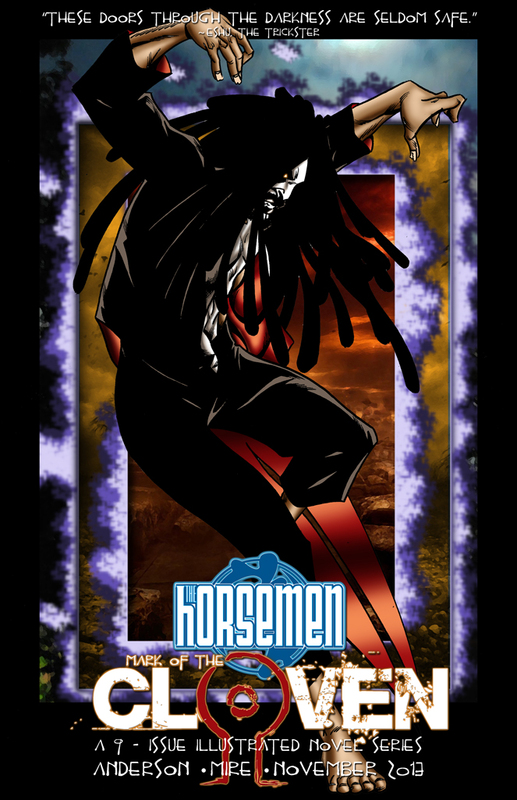 Eshu has the ability to travel the Crossroads. This means that no door is closed to him whether the door is physical, digital, or spiritual. He can travel any distance, any realm. In addition, he has the ability to befuddle his opponents leaving them disoriented, confused, and ultimately, beholden to Eshu’s will. Eshu is also extremely agile. His fighting style is a combination of acrobatics, Capoeria, Tae Kwan Do, and pure physical improvisation. ← Even more Epic Cosplay!